As an author, the first chance you have to bring a reader into your world is with your book cover. A great cover will stop a person who is browsing. The art will present an intriguing story to the reader that makes them want to know more. Once the book is in their hands, it is up to the content inside to make the sale and create a loyal customer, but it is the cover that makes the introduction. With a college store, creative and eye-catching window displays act in the same manner. For artistically-inclined bookstore staff, window displays can be a really fun way to get creative and express yourself and your store. For others, they're far less fun — chores full of arranging merchandise and mannequins in a way that never seems to come together. 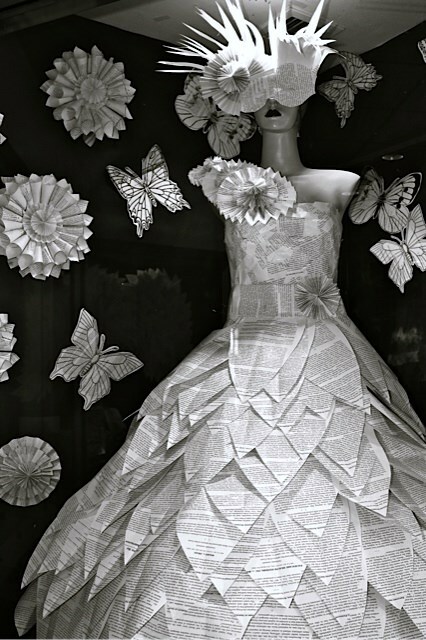 Regardless of how you feel about them, however, window displays are a necessary part of running a retail operation. By catching customers' eyes and showcasing what you have to offer, they can make or break a potential sale before it even happens. Are your store displays and windows looking a little . . . vintage? Maybe it's time for an upgrade! Walk through your store and try to see things from the perspective of your customers, then rearrange things a little with the help of these tips from Independent Retailer. Are you using your windowspace to give customers a taste of what they can find? The folks at Retail Adventures have offered up 15 tips for retailers to spruce up their windows and catch their customers' attention. We picked some of our favorites that could easily be adapted to a college bookstore. This excerpt is from an article by Nicole Reyhle, originally posted on Retail Minded. You’ve given a lot of thought to how merchandise is displayed in your store, but it’s important to give your signs just as much attention. The customer’s first interaction with you happens before they even set foot in your store! It’s important to make that first impression as favorable as possible by keeping your signage up to date and well-maintained. A book can transport its reader to countless destinations, and when it’s through, its pages can be re-purposed into just as many new uses. Just ask Kimberlee Ferris, textbook manager at St. Mary’s University Bookstore in San Antonio, Texas. The following excerpt, from the article Using Pinterest’s social cred to get in-store shoppers to make purchases, was written by Eliza Kern and published on GigaOM. View the full article about how this initiative influences Pinterest's monetization efforts. The following article was written by Jane Porter for Entrepreneur.com. Although it refers to furniture and decor retailers, college stores can take the tips and translate them to their own retail space.